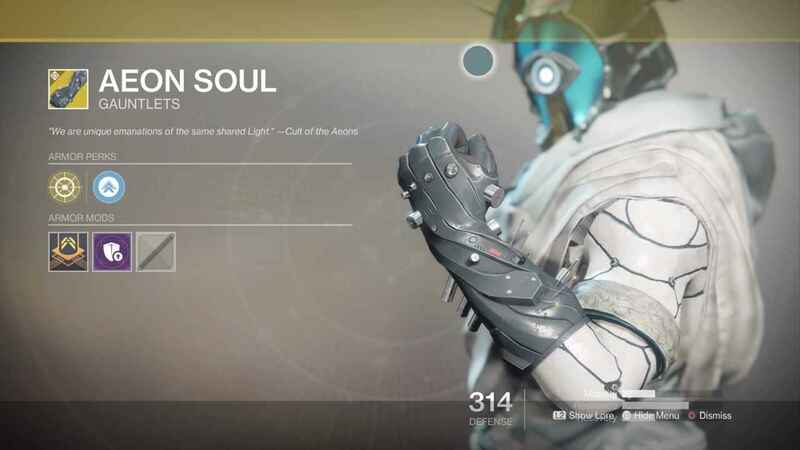 The Aeon Soul is an Exotic Gear Piece for Warlocks in Destiny 2: Curse of Osiris DLC. It is only available when you have bought the Curse of Osiris expansion! It’s a fixed reward for completing the Curse of Osiris DLC as a Warlock and then talking to Ikora Rey in the Tower. 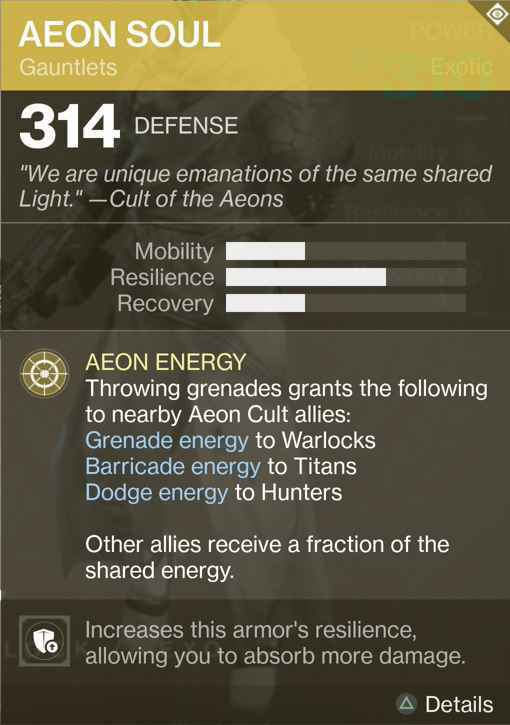 Special Ability #1: Aeon Energy — Throwing grenades grants the following to nearby Aeon Cult allies: Grenade energy to Warlocks, Barricade energy to Titans, Dodge energy to Hunters. Other allies receive a fraction of the shared energy. Acquired by: Beat all main missions in the Curse of Osiris DLC as a Warlock and then talk to Ikora Rey in the tower. She has a different ‘Aeon’ exotic piece for every class.